Does the Stockholm syndrome (‘love of captor’) contaminate Indigenous thought? Is current Western contemporary art a meaningful forum for Indigenous artists? Do marketplace prerequisites degrade an honest Indigenous artist’s expression? Does western colonized thinking minimize genuine Indigenous art expression? Do contemporary art movements disregard Indigenous cultural art statements? Compulsory teachings of universality and assimilation are changing from the group mentality of traditional wisdom to a focus on individual achievement. The once crucial issues of group identity, cultural responsibility, and cultural participation, are not being addressed. The plaguing issues of drug and alcohol abuse, violence, poverty, diet, language, spirituality, and the defilement and continual loss of homelands; along with the frightening issue of youth suicide should be open to serious internal inspection. These issues are not being confronted proactively in the arts, because the art market will not encourage this dialogue. FREEAPACHE is a catalyst to stimulate contemporary Indigenous people to direct their art statement inwardly and speak to real cultural issues. With this self-empowerment an external stamp of approval is not necessary or valid. An internal cultural dialogue will provide a meaningful discourse that transcends market-driven art production. 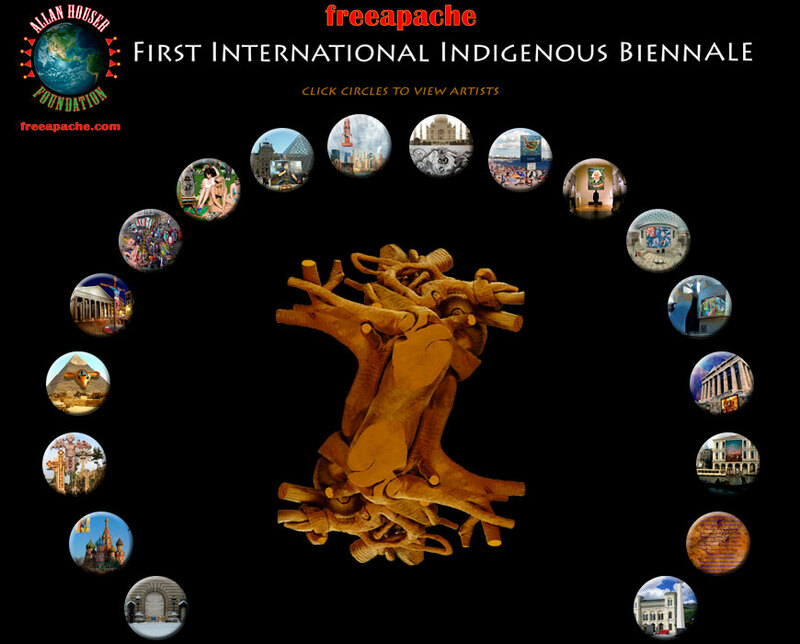 FREEAPACHE will stimulate indigenous artists by symbolically claiming an international voice for Indigenous art.